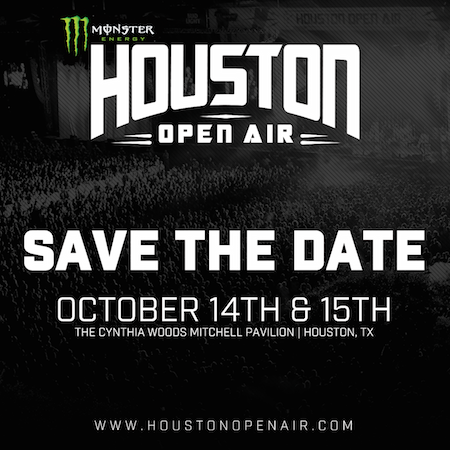 Monster Energy Houston Open Air will return to the Houston area Saturday, October 14 and Sunday, October 15 at The Cynthia Woods Mitchell Pavilion presented by Huntsman in The Woodlands, TX. The music lineup for Texas's biggest rock experience will be announced Monday, June 12 at 8:30 AM CT and tickets will go on sale Friday, June 16. Visit www.HoustonOpenAir.com for details.